Graced with the iconic check and styled like a button-down extended to the knees, this belted shirtdress effuses an effortlessly timeless look. 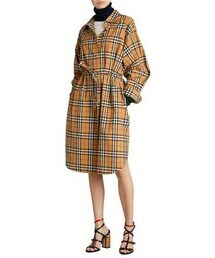 Style Name:Burberry Isotto Tartan Shirtdress. Style Number: 5572337. Available in stores.